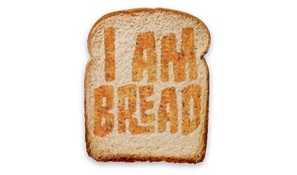 UPDATE: I Am Bread is out of Early Access! Featuring new environments, Magic Marmalade, a better Rampage Mode for smashing stuff, Achievements, Trading Crads, Balancing and Bug Fixes. Get Bready to Cruuuuumble! Simulators have pretty much cover the entire animal kingdom, as well as grass, rocks and human professions, so why not add to the roster a new contender; bread! 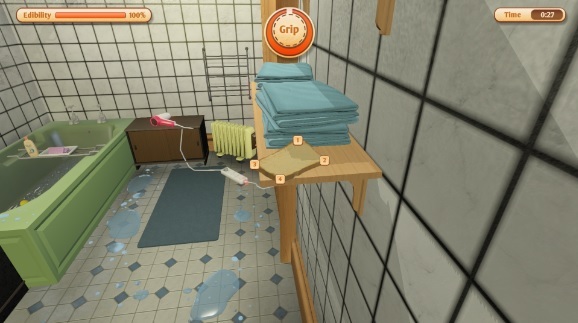 As silly as the idea may sound, you always wonder how well it is executed and placed on the canvas, or on the plate… Bossa Studios have developed this game with as much as they can for an affordable relatively low price on Steam and is now on Early Access. You are inside The House, and inside all “The” places like The Kitches and what not, this is not the regular house at all! 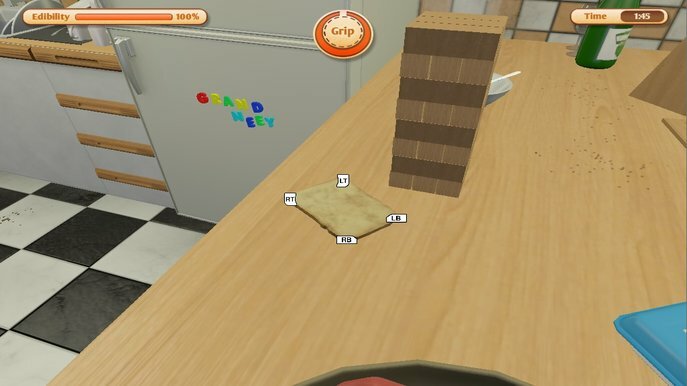 You start as a slice of bread, and you move your 4 corners with specific buttons from the keyboard, such as Q, W, R, E and also hold to grip on to something. 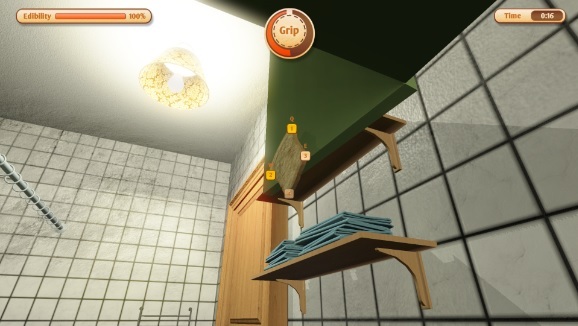 While the controls are mostly predictable, they feel very stiff but it compensates with decent physics. Remember the dreadfulness of QWOP? Well your objective here is to be edible at the end of a stage, so avoid contact with filthy stuff including the ground; the 5 second rule doesn’t apply here as it’s more of a 100% to 0% rule which takes a decent time to tell you that no one is going to eat you ever. 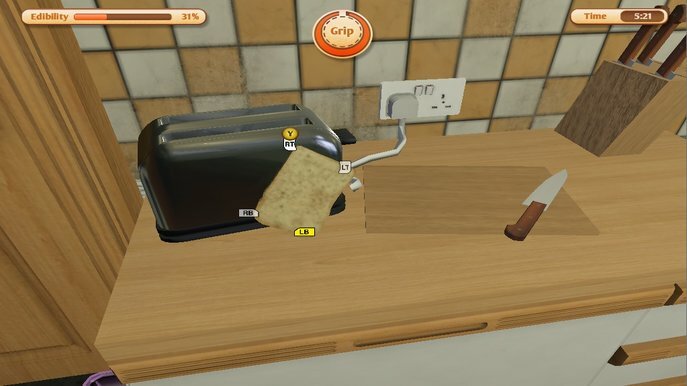 To be honest, I’d recommend to use a controller, as LT, RT, LB and RB are somehow more suitable as you launch your bread with the analog stick as well. How is this game better than the rest and how well it performs? As a first impression it might get a bit boring and flat, but as you get your way with the controllers and find new stuff to mess around with it makes it a worthy pleasant adventure. Nonetheless, as I mentioned before it can have stiff controls. The build is not very stable, as it has crashed pretty much more than half the attempts even trying at low settings. Fortunately objectives are clear (just try and reach them!) and has a way more in depth story that you could ever imagine for this type of game. It is a quite a rough stage but gameplay wise it’s a fun interesting concept which most simulator fans could find enjoyable. Currently the game offers 4 levels to complete and of course is open to player feedback. 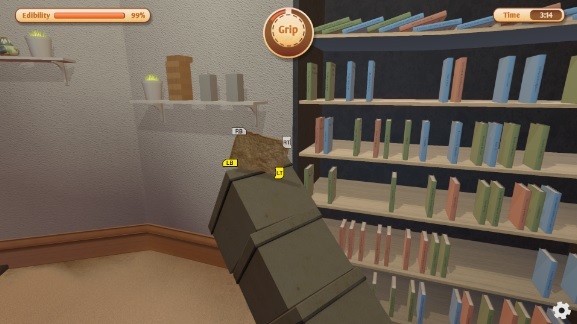 The design of the game is pretty straight forward, simple elements that you would find a the rooms of your house, simple illumination and decent textures, not much more to say, you play as a slice bread I mean. 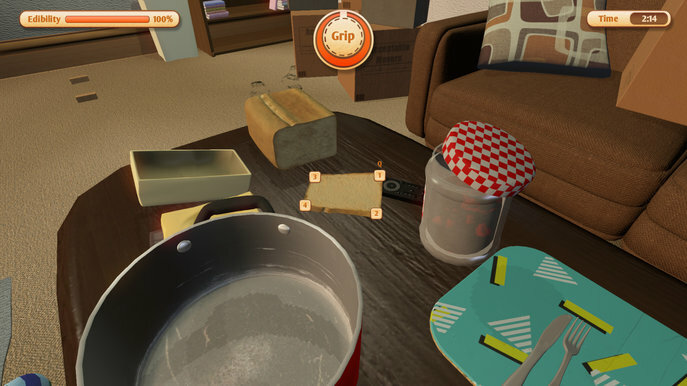 Environments are decently detailed; you can have fun interacting with objects by just reaching their hitboxes, for example, break a jelly jar and made your bread all gooey. Putting aside whatever sorcery is giving you the unreal powers of movement, this sandbox experience truly reflects what you would watch on a Saturday morning cartoon. Music is curious, friendly, catchy, dynamic and pleasant. With a simple set of instruments it can develop and evolve perform a suitable and great structure that stablishes a contrast to the simple idea of playing as bread. It does loop more than you would expect but that depends on how well you perform on a level time-wise. Nevertheless, it does show some serious problems of mixing, even if you can mix FX and MX it still overpowers basic elements from the game, also as you rotate the camera axis the music will pan uncontrollably losing your focus and experience from the game. + Its current state might be a bit unstable, but most of the elements for fun are polished.